2 Bdrm Grnd flr Flat. Hall. Lounge/Dining area. Kitch. 2 Bdrms. Bathrm (CT band - D). Parking. 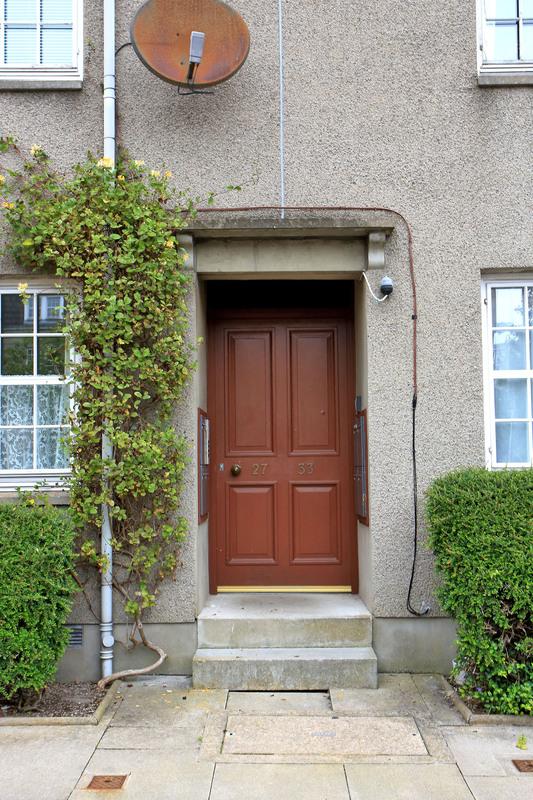 Fixed price £160,000 Entry by arr. Viewing contact solicitors. (EPC band - E). 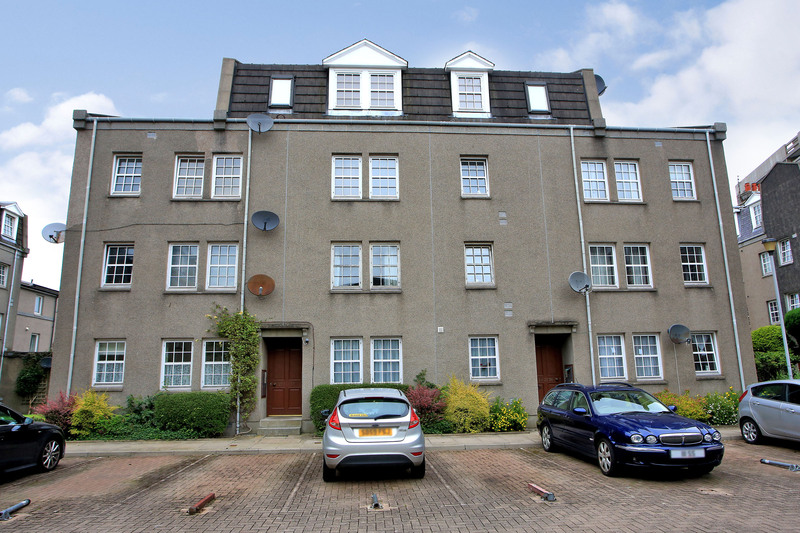 Situated within a desirable, quiet city centre development, we offer for sale this bright and very well presented GROUND FLOOR TWO BEDROOM APARTMENT WITH DESIGNATED PARKING SPACE. 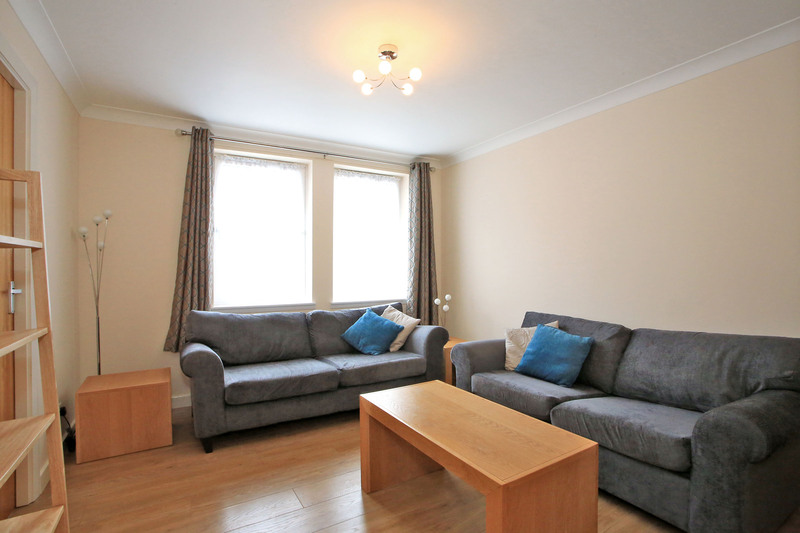 South facing, this most attractive property enjoys the benefits of electric under floor central heating throughout and an Air Flow System, full double glazing and a security entry telephone system. There is laminate flooring throughout the property which complements the neutral decor, and all the curtains, light fittings and white goods are included in the sale. ALL THE CONTENTS are also included in the sale. 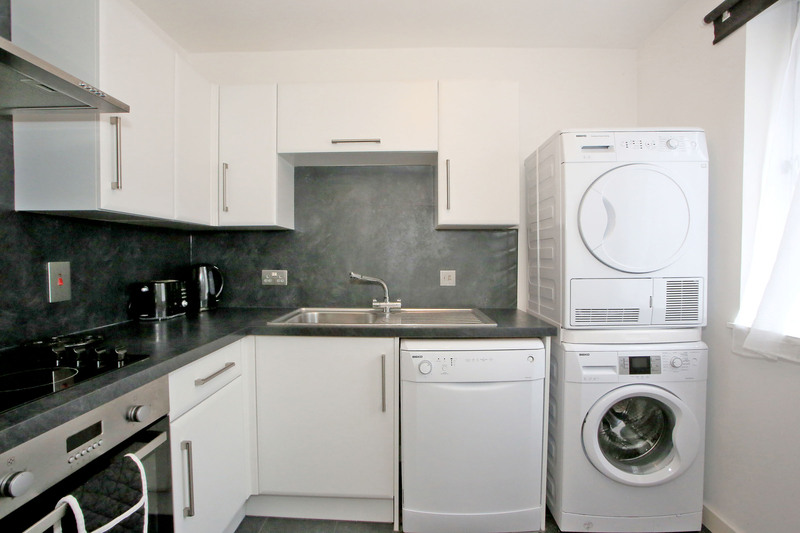 The spacious accommodation comprises: Entrance Hallway with wall mounted security telephone and built in cupboard, bright and sunny Lounge, very well fitted white high gloss kitchen, two Double Bedrooms both with built in wardrobes and a fitted Bathroom with shower. There are attractive landscaped garden grounds set around a central courtyard. 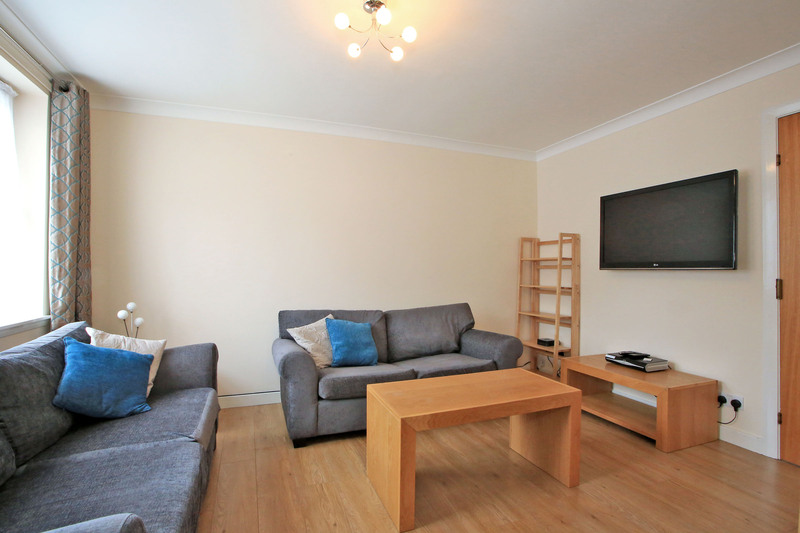 The apartment undoubtedly represents an excellent purchase for the professional person or couple or those seeking an investment for letting purposes, given the property’s city centre location. HALL: With wall mounted security entry telephone. Large walk in cupboard with light which houses the boiler. LOUNGE: (13’9” x 11’2” app.) Delightful room with south facing Georgian style twin windows. Adequate space for comfortable seating and a dining area. KITCHEN: (8’10” x 8’ app.) 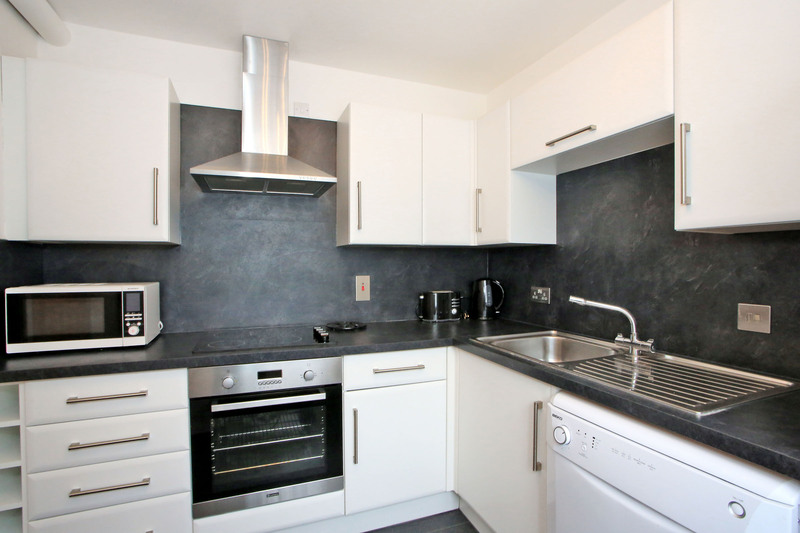 Superb very well fitted kitchen with an excellent range of white high gloss base and eye level units with black marble effect worktops and Aqualisa splashbacks. Stainless steel sink with single drainer and mixer tap . Built in electric ceramic hob with stainless steel oven and stainless steel illuminated extractor canopy. Plumbed for dishwasher and automatic washing machine with tumble drier mounted above. Space for fridge freezer. Georgian style window to the front. N.B. The white goods will remain. DOUBLE BEDROOM 1: (12’4” x 10’app.) 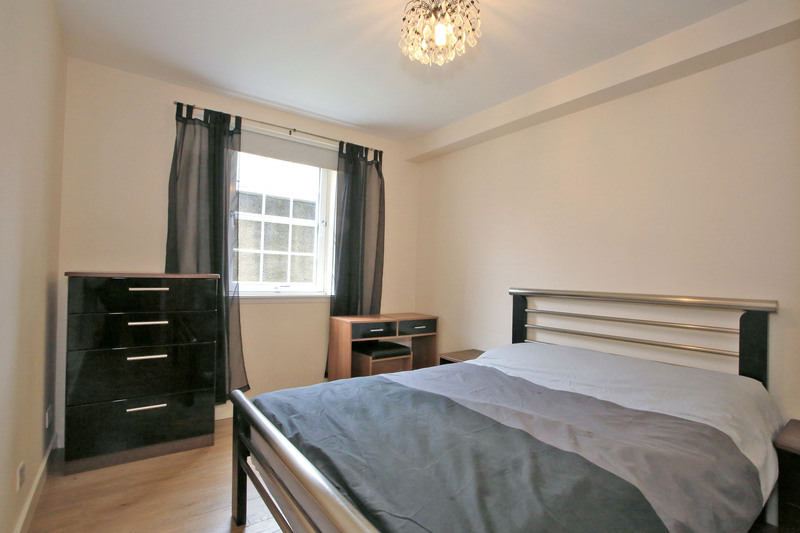 Attractive and spacious rear facing bedroom with built in wardrobes and mirror doors. DOUBLE BEDROOM 2: (12’4” x 9’2” app.) 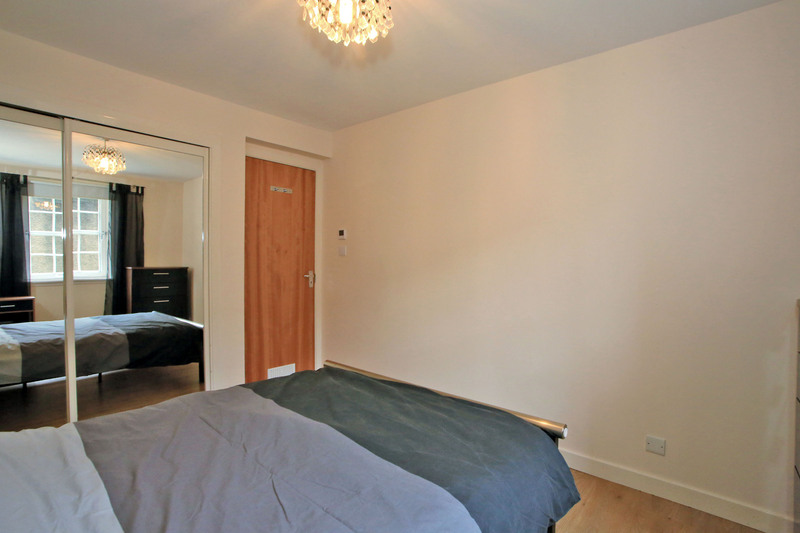 Also to the rear another good sized room again with double built in wardrobes with mirror doors. 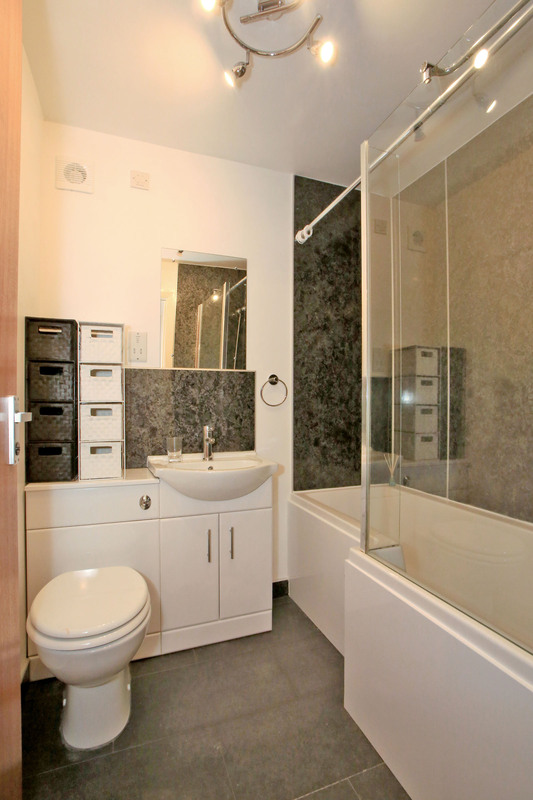 BATHROOM: Stylish bathroom fitted with a white three piece suite. The wash hand basin is contained within a vanity unit with Aqualisa splashback. Shower over the bath with glazed screen and Aqualisa panelling. Shaver point wall mirror and fittings will remain. OUTSIDE: The outer hallways are very well maintained and fully carpeted. There are landscaped communal garden grounds and a designated parking space which is second from the left when facing the flat. NOTE: There is a factor who maintains the garden grounds and communal areas. TRAVEL DIRECTIONS: To reach the property travel from Union Street up Rose Street and Picardy Court is on the left hand side opposite Johnstone House. The apartment is on the right.